The future of the Interagency Program Office (IPO) is up in the air. Originally designated to develop an integrated electronic health record (iEHR) between the Department of Veterans Affairs and the Department of Defense, the office used to boast a budget in the hundreds of millions of dollars. However, with the decision earlier this year by the Department of Defense to pursue its own EHR, the buzz seems to be that most of the IPO’s budget is being reprogrammed. We continue to hear from both DOD and VA officials that there is still the goal of having an integrated and interoperable EHR, but expect both DOD and VA to pursue their own solutions at this point, while maintaining an open dialogue about how the disparate systems can still work together. At AFCEA Bethesda’s Health IT Day in mid-November Dr. Theresa Cullen, the Chief Medical Informatics Officer at VA, discussed one of the likely solutions to the data sharing challenges between the VA and DOD with an update to VA’s current EHR system termed VistA Evolution. VistA Evolution is relying on an agile development schedule to roll out new interfaces and applications in short development timeframes in the hope of providing “disruptive evolution” to the overall program suite by introducing new technologies. VistA is a legacy system that the VA has relied upon for quite some time, but it operates off a fundamental architecture that can be updated to meet many of the needs of today, including enhancing interoperability with DOD systems, and the only barrier to updating VistA seemed to be cost. With money now freed from a potentially defunct IPO, expect the VA to move ahead on an aggressive update schedule, with several contracts to work on VistA already awarded. Dr. Cullen is very conscious of how the next stage in the development of the applications and databases that handle health information will be handled. Health information on VA systems remains siloed and while the Department has made progress addressing this challenge, it seemingly pales in comparison to the task of being able to interface with DOD medical systems. This may be the future of the IPO, to act as more of a governance and policy agent to determine the standards that the VA and DOD EHRs have to operate off of, rather than as a functional office that actually undertakes development opportunities. This reprogramming could open up new opportunities for COTS vendors who can provide CRM solutions, health data and records management, and middleware and SOA tools to ensure the differing systems can actually talk to each other. These joint efforts to strengthen interoperability remain high-visibility and have a lot of support on the Hill, with language in the 2014 VA spending that would actually mandate that DOD and VA operate off of one EHR. 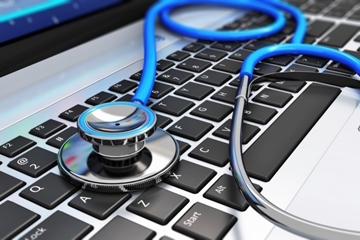 Expect the Departments to keep this in mind when pursuing their solutions in the event that the law requiring a single EHR actually passes, however unlikely that may prove to be. Tom O'Keefe has over 10 years of market research experience as an Analyst and Consultant in the federal space. He also earned an MA in Political Science from George Mason University. He has covered both civilian and defense agencies and has presented to clients ranging from junior-level associates to executives from some of the largest Systems Integrators and contractors in the federal marketplace.